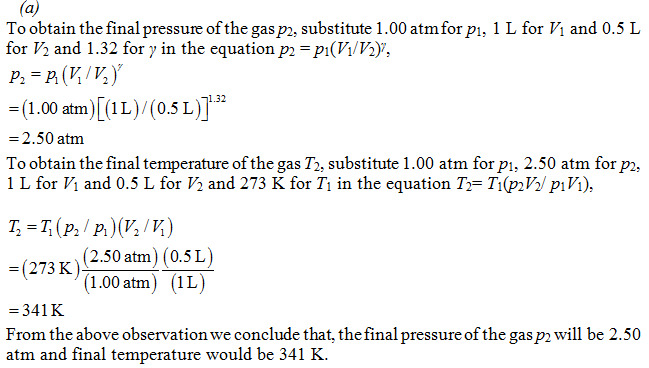 (a) One liter of gas with γ = 1.32 is at 273 is K and 1.00 atm pressure. It is suddenly (adiabatically) compressed to half its original volume. 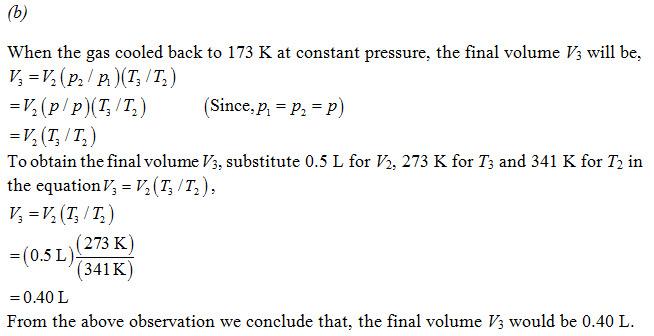 Find its final pressure and temperature. (b) The gas is now cooled back to 273 K at constant pressure. Find the final volume. 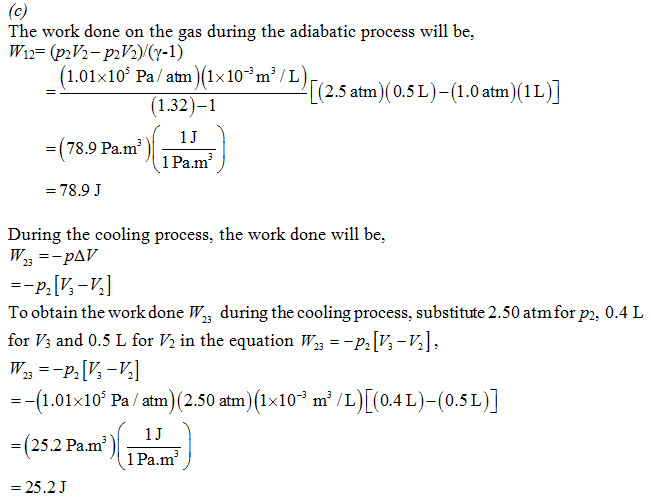 (c) Find the total work done on the gas.